If you want to get to know all of Jerusalem at once, taking a bike tour is the perfect solution for you. Jerusalem is filled with must-see attractions and breathtaking viewpoints spread all over the city. With the mountainous nature of Jerusalem, riding a bicycle will make your travelling fast, easy and enjoyable. ZUZU Bicycle tours invites you to join the experiential bike tour that will take you around the pastoral neighborhood of Mishkenot Sha’ananim and into the Old City! Why should you take a tour inside the Old City when you can take an “all in one” tour both inside and outside the city walls? Take the combined cycling tour around the walls of the Old City, enter the gates and discover the most fascinating places inside the Old City. 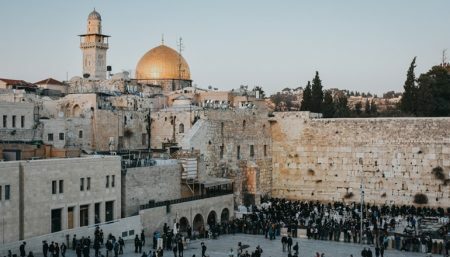 Visit King David Hotel, the famous building of Jerusalem YMCA, Montefiore Windmill, Jaffa Gate, Tower of David, Zion Gate, Hurva Synagogue, The Cardo at the Jewish Quarter and more! E-bike riders must be at least 16 years old.